Cooking by way of induction is faster, safer, cleaner and more energy efficient than any other cooking technology. The cooktop is only activated once an induction ready pot or pan is placed on the surface and the cooktop surface remains cool creating the safest and most efficient cooking experience. Adjust the temperature using the precise control knob located at the front of the unit. 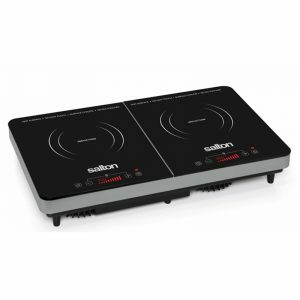 Powered by 1800 watts and up to 3 hours of timed cooking, this Induction Cooktop is perfect for everyday use. 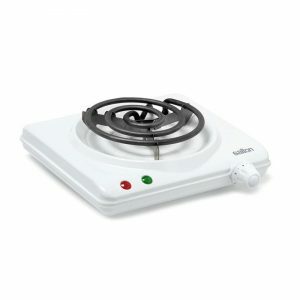 Check if your pots are induction compatible with the induction tester included. 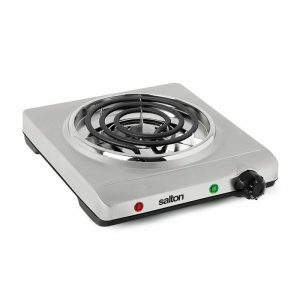 Induction is more efficient than any other cooking technology. With a surface that remains cool throughout the cooking process, there is no need to worry about anyone accidentally burning themselves. The 8 temperature settings and 1800 watts provide the power to melt butter, steam, sear, stir-fry and boil. 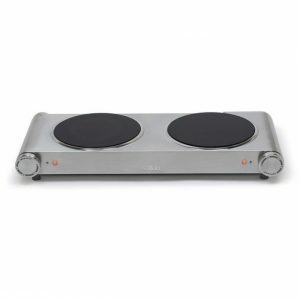 Boasting a solid crystal glass top, count down timer and easy to clean touch sensitive controls, this deluxe Induction Cooktop is perfect for everyday use. Cooking by way of induction is faster, safer, cleaner and more energy efficient than any other cooking technology. The cooktop is only activated once an induction ready pot or pan is placed on the surface and the cooktop surface remains cool creating the safest and most efficient cooking experience. Adjust the temperature using the precise control knob located at the front of the unit. 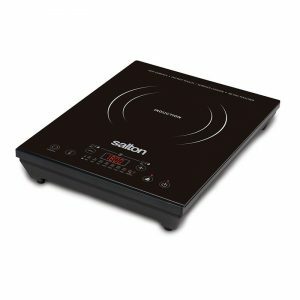 Powered by 1800 watts and up to 3 hours of timed cooking this Induction Cooktop is perfect for everyday use. Check if your pots are induction compatible with the induction tester included. Do you ever run out of elements while you’re entertaining? This Infrared Portable Cooktop heats more efficiently than regular stove tops, has minimal heat loss to the countertop or table and is compatible with all types of cookware – including glass, ceramic and aluminum! 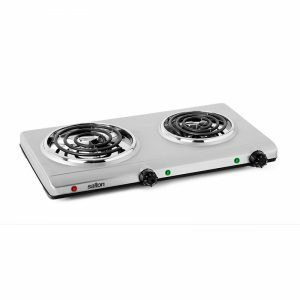 With its elegant stainless steel design and lightweight construction, this Cooktop is perfect for homes, cottages, and camp sites. Ever need an extra stovetop while cooking? How about two? This Portable Cooktop can be used for entertaining and everyday use. The coil element heats quickly so there’s no waiting for the stovetop to warm up. It’s perfect for student dorms, cottages, offices and camp sites. 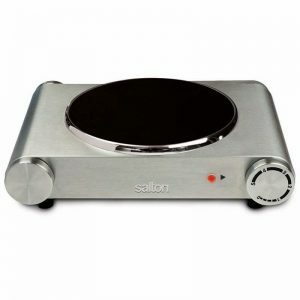 This Single Infrared cooktop is small and portable enough to be used just about anywhere! It heats more efficiently than regular stove tops, has minimal heat loss to the countertop or table and is compatible with all types of cookware – including glass! 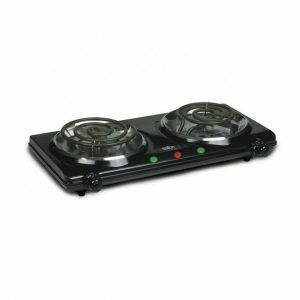 With its elegant stainless steel design and lightweight construction, this cooktop is perfect for homes, cottages, and camp sites. 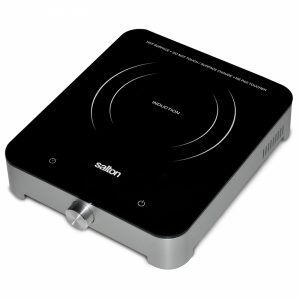 This Cooktop is small and portable enough to be used just about anywhere! The coil element heats quickly so there’s no wait time. It’s perfect for student dorms, cottages, offices and camp sites. 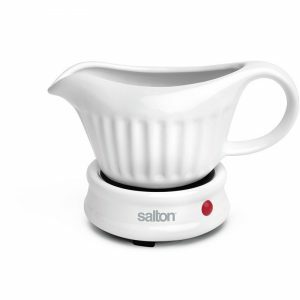 Holiday Season is on the way; get a head start with this gravy warmer! Perfect for keeping your gravies, sauces and syrup the ideal serving temperature. The elegant ceramic design compliments all tableware and the cord is detachable for tabletop serving. No need to run back to the kitchen for more warm gravy. Ever made a cup a joe that got cold too fast? 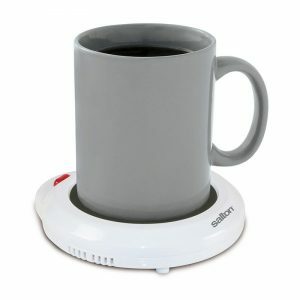 This saucer-esque apparatus you can keep your coffee or tea (or hot chocolate!) at the right temperature at all times. You can now get distracted and come back to a hot beverage. This device can also warm candles to release aroma and keep gravy at the ideal serving temperature. Need assistance? Have a product question? © 2019 Salton Corp. All Rights Reserved.